Ever since I saw Victoria Beckham wearing her own white fur trim dress I was obsessed. So when I was out shopping down Oxford Street today I was excited to see two copies of the dress on the high street. It was so busy in town today, Oxford Street is always pretty packed but I think people are definitely out Christmas shopping. It was so hard to find what I wanted and I much, much prefer shopping online! 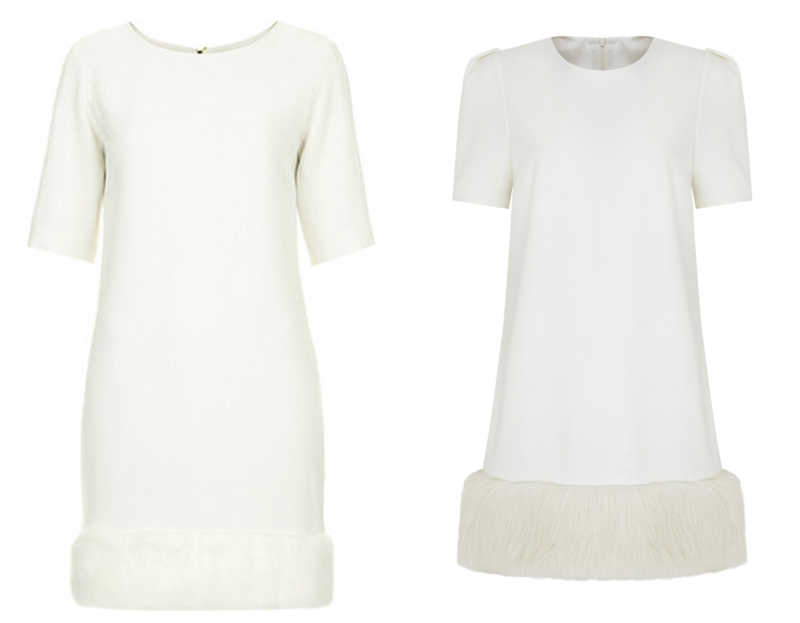 Anyways back to the dresses here is the gorgeous Victoria Beckham dress, it’s a crepe white dress, with mid-length sleeves, gold chain neckline and feather fur trim and will set you back a mere £2,100…I’ll just let you sink that in! 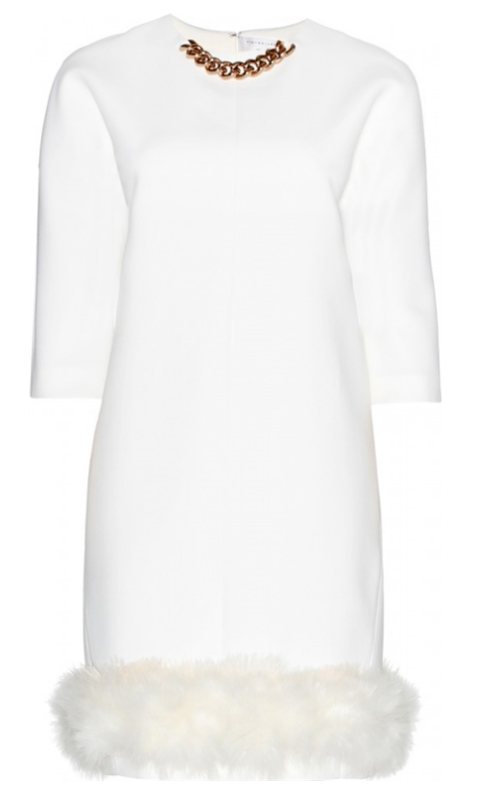 Save yourself £2,045 with this version from Topshop £55 on the left, which I must say seeing this in real-life its a dead ringer for the VB one albeit a more cream colour than pure white. It has the same mid-length sleeves and I love the faux fur trim, add yourself a gold chain necklace and it’ll be exactly the same. If that wasn’t enough Red Herring at Debenhams have also come up with their own dupe. Also in a crepe fabric, it has a slightly shorter sleeve and a bit, more fur round the bottom. This dress is £45. Will you be splurging or stealing? I know which I will be!